Have you started your creations for Valentine's Day. It seems the holiday's are rolling in faster than I have time to create projects for them. LOL. The image is from Sammi Stamps. I used the Silhouette Cameo to print and cut the elements. 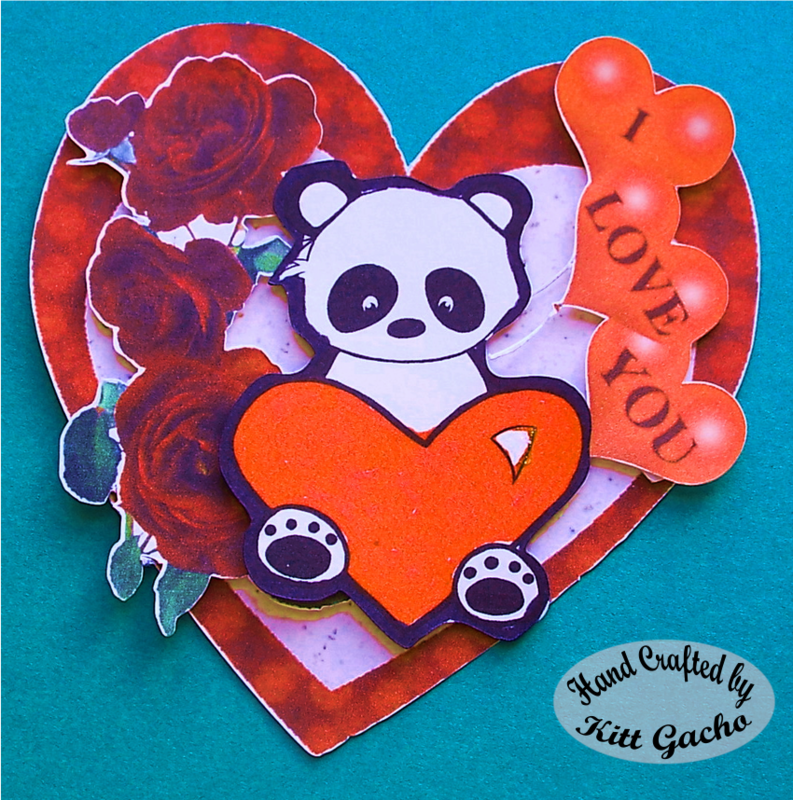 I also used my Spectrum Noir markers to color the heart and to color the edges of the Panda. I put the elements on pop dots to give depth. This is for the challenge over at Artistic Inspirations. Be sure to stop by and join in the fun and see what the talented DT has for your Valentine and heart inspirations. Thanks for stopping by and leaving your comments. Follow me as I will be posting a new 3D project for Valentine's Day soon.